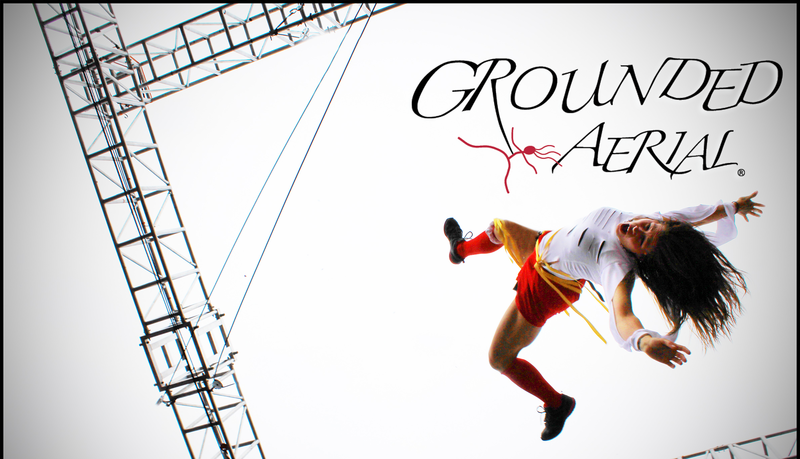 Grounded Aerial® specializes in teaching aerial bungee classes, workshops, and teacher trainings. Our bungee classes enable us to travel the world sharing the infectious joy of aerial bungee. Click here to find out more about Grounded Aerial® Bungee Training. We negotiate profit sharing (70/30 Grounded Aerial®/Host) for bungee classes making it a win-win for both parties. We offer a new and exciting movement to your existing students while attracting new customers. The size and duration of a program can be customized to suit your needs. Let Grounded Aerial® jump-start your bungee business. See below for details and profit projections. Grounded Aerial® requires a minimum of 3 suitable anchoring points (may be exposed structural beams or purpose built anchors) and a recommendation of 8′ between each point/walls. Three points would be the minimum, 8-10 points is ideal. Not sure if your space qualifies? Send us a pic and dimensions. We also ask for a minimum number of trainers of 5. Not all must be from your studio. We also market in your region to pull trainers from neighboring areas. We excel at creating classes for all levels, workshops and training/certification. This approach enables you and your staff to save time and money since no time off or travel is needed to receive training. This is a great way to stir interest, generate revenue and to offer unique experiences to your people. These classes sell out. We negotiate, so we can assist your bottom line. Our usual arrangements are 70/30 – 60/40 split for the classes and workshops (not the certification) between Grounded Aerial®/Host. But I don’t have gear! We work with the individual needs of each host studio to come to an equitable arrangement. One week of classes nets most small studios ~$1,000 of profit after expenses and fee split. What other classes and workshops does Grounded Aerial® offer? Grounded Aerial can be at your studio before and after the certification, offering numerous choices and disciplines of classes and workshops to various groups. It’s a great way to generate revenue, stir excitement about your studio, offer new things to your clients, and to get the community involved! Universities, special needs organizations, travel associations, arts councils, local press, local theaters…can and should be contacted to create a proper stir, and make the most out of our visit to you! Win/win/win!! Straight technique classes for ALL adult levels in: Modern, Ballet, Musical Theater, Jazz, Tap, Tumbling, Ninja obstacle courses. Choreography Development and Creation – 6 year olds to senior citizens,–Everyone can make dances. For non-dancers! Ms. Fuhrman has toured the world holding workshops such as these via the modern dance company, Pilobolus. Utilizing team-building strategies, we develop our self-esteem, stimulate creativity, get a great work out, and laugh a lot. From girls night out to executives that need to work on their communication skills…this is fun. Line and Strengthening -This class can be for novices to pre-professionals to work on their ballet, stretch, and strength. Exercises and combinations that will enhance performance, aerobic and anaerobic conditioning. Stretch for All– The advantages of stretch have been proven scientifically as a giant aid to health and happiness. A combination of yoga, ballet, and Pilate’s accessible to all levels enables enhanced movement to all types. With her Masters in Dance Education, Ms. Fuhrman gently and diligently assists each person to relax, strengthen, let go, and stretch via breath, imagery, and anatomical aides. Contact Improv class/ Weight sharing– learn to move with a partner and develop muscles and communication skills that enhance your physique and ability to interact and problem-solve with others. For ALL ages and movers. Improves stability and balance. A ton of exploration that helps illuminate the importance of staying in present moment and that application to life. Very therapeutic. Grounded Aerial® Bungee Classes– bounce like a baby in a bouncy chair while getting the workout of your life- and abs of steel. If you have dreamt of soaring through the air with larger than life leaps- then take this class. Do flips, with out getting close to the ground, safely and clearly. Wall Dancing– Dancing and flipping on the wall. A ridiculous work-out, perspective shifter, a really fun time– and another reality of the horizontal aerial world. Abs for days. What is included in Grounded Aerial® Bungee Training? As a requirement for certification, trainers will sign a limited licensing agreement for $25 per month. (Billed monthly or annually). Use of the Grounded Aerial® name, logo and marketing materials is included in this agreement. This small fee also allows us to offer continued support with GA®BT LIVE. 3. Teaching Tools. Monthly “Watch a full class” developed by Owner and Artistic Director Karen A. Fuhrman. Broken down into segments that are illustrating the “how” in teaching bungee. 4. Networking blog for international support, business solutions, problem-solving, troubleshooting, creative ideas, and community. 5. Comprehensive music play lists that guide theclass structure.